This book will arrive signed by the author. In minute-by-minute detail, Patricia Smith tracks Hurricane Katrina as it transforms into a full-blown mistress of destruction. From August 23, 2005, the day Tropical Depression Twelve developed, through August 28 when it became a Category 5 storm with its “scarlet glare fixed on the trembling crescent,” to the heartbreaking aftermath, these poems evoke the horror that unfolded in New Orleans as America watched on television. Assuming the voices of flailing politicians, the dying, their survivors, and the voice of the hurricane itself, Smith follows the woefully inadequate relief effort and stands witness to the immeasurable losses. An unforgettable reminder that poetry can still be “news that stays news,” Blood Dazzler serves not only as a memorial, but as a necessary step toward national healing. From the soul-shattering drama of everyday life evident in news headlines to the liberating and uplifting power of poetry . . . Smith’s pieces are underscored by a reverence for the raw drama and passion of human existence. 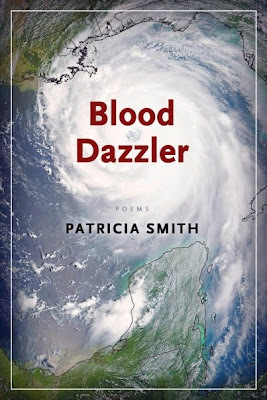 Spiritual and gutsy, Patricia Smith's satirical poems lay New Orleans bare, with Katrina at the driving wheel..."Blood Dazzler" is a document of feelings whose tinges of the blues capture an urgent witnessing through the natural empathy embedded in praise, woe, and awe. With her radiant powers of empathy, her fiercely acute ear for the musical possibilities of American speech, and her undiluted rage, Patricia Smith makes in Katrina's wake a sorrowful, unflinching and glorious book. ...full of capricious soul and formal inventiveness....I consider this new book a major literary event.